Medium French handwoven basket with thick 50cm navy blue leather handles. Ideal as an everyday basket or handbag. Also perfect as a picnic basket or beach basket and useful as a home storage basket too. 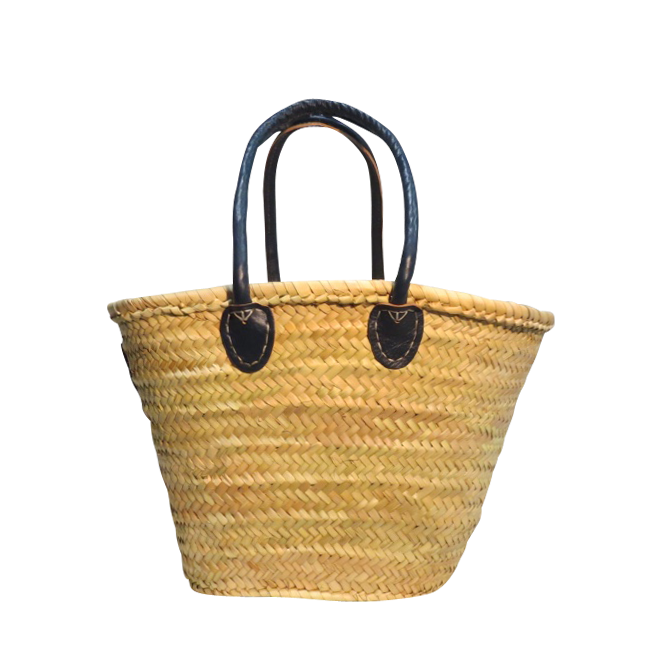 Like a straw basket but made from palm leaves so sustainable and very strong and can be filled to capacity when visiting the farmer's markets. NOTE: Handmade baskets always vary in size so the measurements are approximate.